NHL News : Breaking: After stunning return, Price mysteriously leaves Habs practice early! 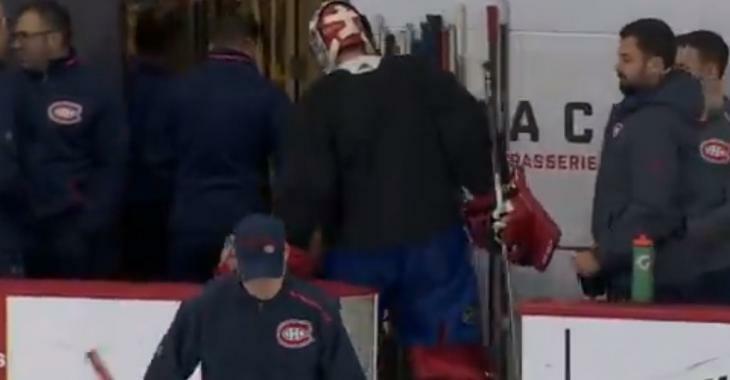 Breaking: After stunning return, Price mysteriously leaves Habs practice early! Montreal Canadiens star goalie Carey Price returned from a lower-body injury that caused him to miss three games, and made 33 saves for his second shutout of the season last night in a 2-0 victory over the Vancouver Canucks. Rested, the star netminder admitted that he felt much better and it surely was a great way for him to celebrate his return, the start of the second half of the season and 2019, along with the birth of his second daughter and All-Star game nomination. Canadiens fans were relieved and ready for the rest of the regular calendar. Head coach Claude Julien is expected to give an update on his status following practice. UPDATE: Coach Julien revealed that Price leaving practice early had nothing to do with his lingering lower-body injury, per TSN's John Lu. Price informed trainers that he felt “light-headed”, due to undetermined reasons, Julien expects him to play tomorrow.